Join us for fun, fitness & a fresh start at the Colchester Youth Services Resolution 5K Run! All proceeds will go towards Colchester Youth Services’ Youth Center and scholarship funds. Prizes will be awarded for the first male & female winner of each category. NEW LOCATION THIS YEAR - Colchester Town Hall - 127 Norwich Ave.
Online registration will be open until 12/31 at 4:30pm. 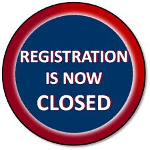 All registration prior to the race must be completed online. SHIRTS WILL BE HANDED OUT ON A FIRST COME, FIRST SERVED BASIS ON RACE DAY!